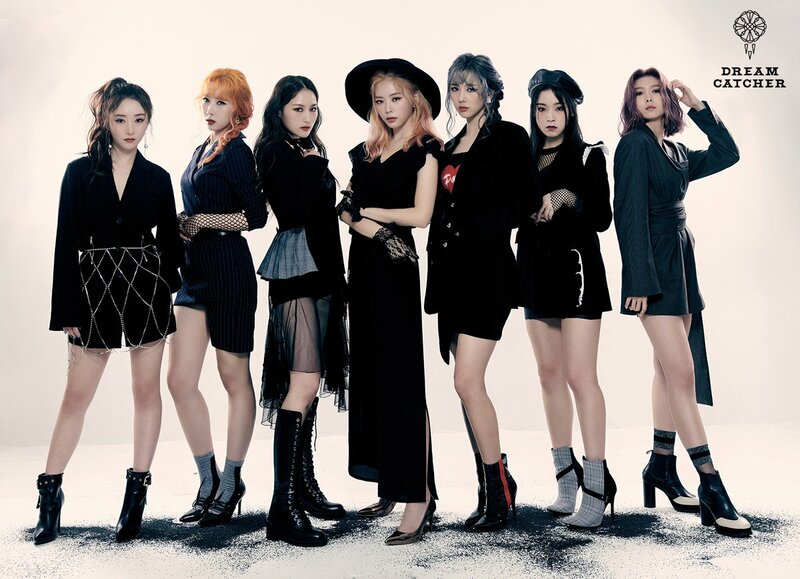 Dreamcatcher‘s ‘Alone In The City‘ is quickly approaching because so is September 20, and they’re almost done teasing us as well. So far there have been ‘Light’ individual and group picture teasers, a trailer for “What” starring Yoohyeon, and ‘Shade’ individual picture teasers. Finally, we get the ‘Shade’ group picture teaser to make everything complete. Somebody photoshop them onto a poster of 'The Craft'. God I want Siyeon to just stomp on my face with those boots. Anyway, here’s another preview clip, this time from ‘Music Bank‘.